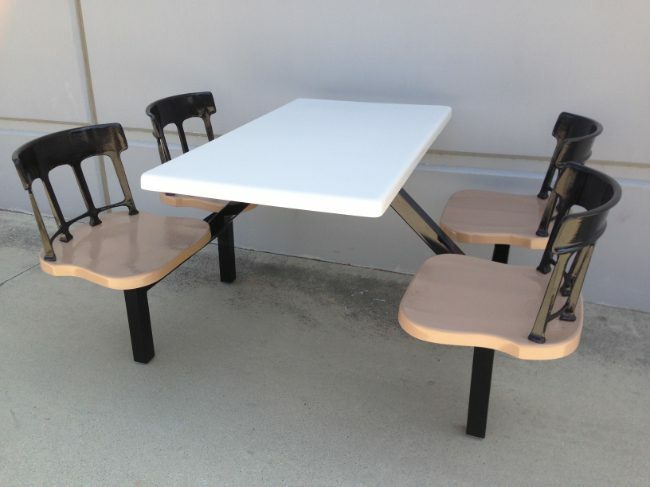 The 4 seat companion to our Marina Del Rey table, with its step-in design and 2″ sq. steel frame, is our Anaheim table. Also widely used by the food service industry. Top Size: 24" X 42"